Home Unlabelled PRECISIONAIR’S coming new baby - ATR 42 - 600 to land in Dar soon. 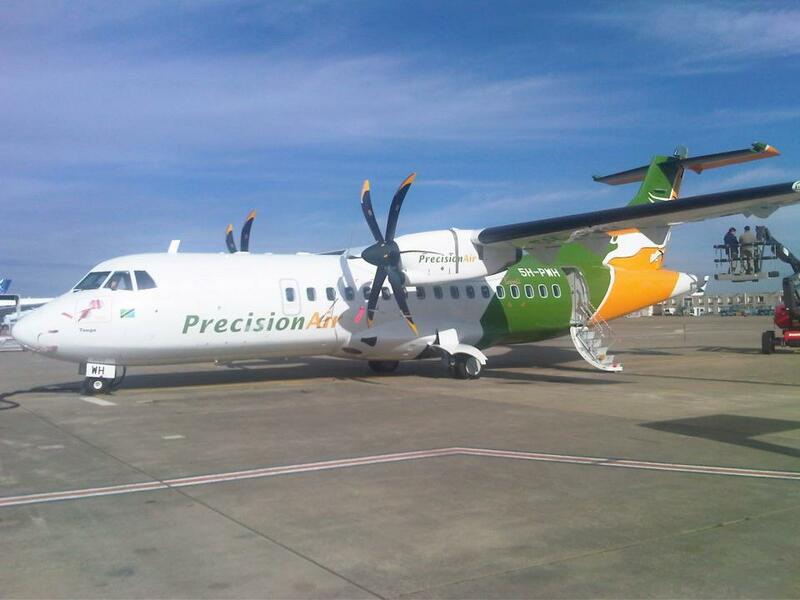 PRECISIONAIR’S coming new baby - ATR 42 - 600 to land in Dar soon. 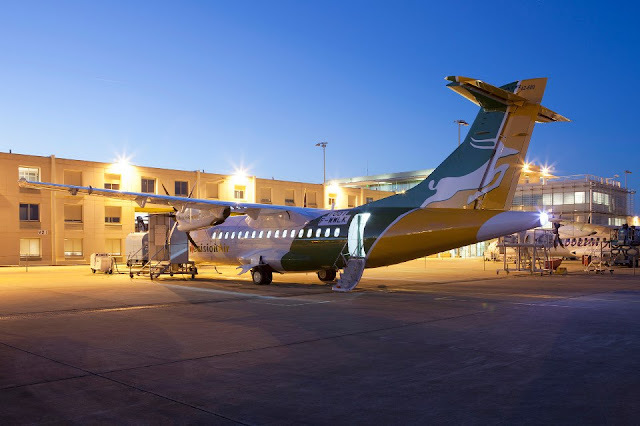 Here are early photos of Precisionair's brand new ATR 42-600 . The aircraft registered as 5H-PWH with full PW's livery is now in the process of being delivered to its owner. 5H-PWH @ ATR Delivery center in Toulouse. The new ATR 42–600 and ATR 72–600 features the latest technological enhancements while building upon the well-known advantages of the -500s, namely its high efficiency, proven dispatch reliability, low fuel burn and operating cost. It includes the new PW127M as standard engine (new engines provide 5% additional thermodynamic power at takeoff, thus improving performance on short runways, in hot weather and on high altitude; the incorporation of the “boost function” enables use of this additional power as needed, only when called for by the takeoff conditions). Its Glass Cockpit flight deck features five wide LCD screens that replace the EFIS (Electronic Flight Instrument System). A Multi-Purpose Computer (MPC) will further enhance flight safety and operational capabilities. The new avionics, supplied by Thales, also provides CAT III and RNP capabilities. It also includes the new lighter and more comfortable seats and larger overhead baggage bins. Visit here for updates on latest aviation news from Tanzania.